I haven't really gotten much in the post this week because I currently have a USD$305 order from Sephora sitting in HopShopGo's warehouse, and I have another USD$60 Sephora order and a Bath & Body Works order on the way. Unfortunately, I think my "What the postman brought me this week" posts will probably dwindle to nothing shortly after. BUT I will work on reviewing what I bought! So if you have any special requests, please leave them in the comments section, tweet or send me a message on facebook. I could not resist purchasing MORE femme fatale polishes when they had a sale on, especially after receiving my first order and loving all the polishes! The colours I purchased were (from left to right, top to bottom) Mana Ruby, Sweet Surprise, Miasma, Gilded Rose (which is a lot lighter pink and gold than in the photo), Lucent Ametrine (also a lighter shade of purple), and Fatal Attraction. These are actually not the only polishes I bought, there was another that was excluded, as I bought it for a swap. I purchased the CND Super Shiney and Essie Pink-A-Boo. Essie Pink-A-Boo is a soft, baby pink shade with pink/purple shimmer. I'm really hoping this is a genuine Chanel CC Cream. I took my chances because this was from Hong Kong, one of the few Asian countries which stock Chanel CC Cream, and the price tag attached to this CC cream isn't exactly "too good to be true". I have yet to try this CC Cream but I will... maybe today! There were three other things that came in the mail this week that I didn't take photos off. First was the Lust Have It box, which I was really impressed with (read here). Second was a heap of photos I got printed via KMart photo printing services of Obi for mum. Mum's so funny when she sees a photo of Obi (she's got him as her wallpaper on her phone)... she goes "oooobi!!!" and stares at the photo longingly. I guess that'll be me when I get my first grandchild! And finally, the third thing that came were two "donut" pillows (image below) for Obi. 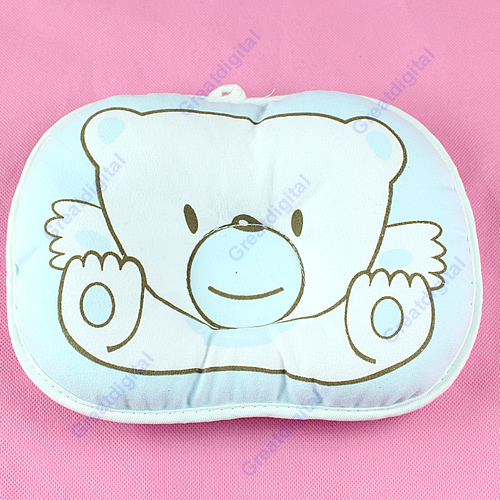 Because its highly recommended to place the baby on his/her back, they tend to get a flatter head, so mum wanted me to find some "donut pillows" to prevent that from happening. I purchased a blue and yellow one, just in case my sister has a girl next time! That's it for "what the postman brought me this week"! What did you get?! Please review the Chanel CC Cream!! WAhhh.. LOVE the nail polish! love the glitters! Woo another postman post! Those pillows are so cute. And I would love to see a review on the CC cream. I wonder if we'll get to a GG cream or something lol. Hahaha I reckon it'll go all the way to ZZ creams! I love the glittery nail polishes! Don't you just love the post man. Awesome goodies. I love all the indie polishes you end up purchasing. They really do offer a lot more cool and unique glitters than big cosmetics brands!! Celebrating 350 GFC Followers... A GIVEAWAY!